Ministry in Chile means lots of food! In this case it was a ‘raclette’ party with our small group Bible study – melted cheese and grilled bacon and veggies! 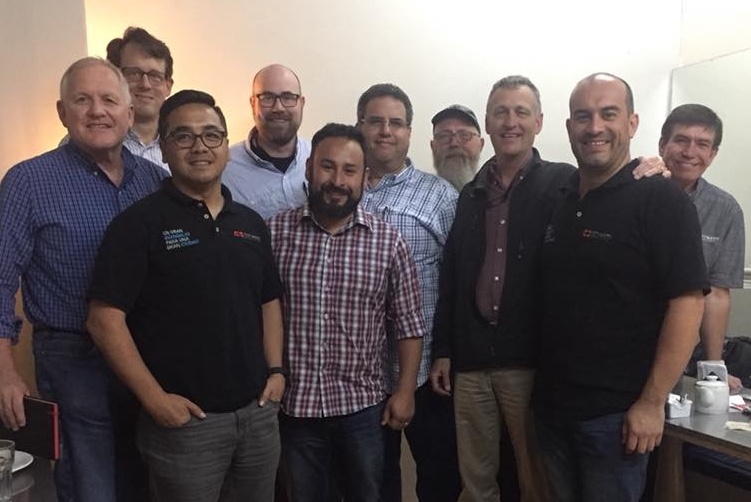 Steve with church and missionary leaders in Buenos Aires, Argentina. Greetings from Buenos Aires, Argentina! I am here for a few days attending a church planting training conference. It has been wonderful to learn more as well as to get to know other South American church leaders. From here I will be heading to Dallas, TX for Mission to the World’s ‘Global Missions Conference.’ If you’re planning to be there, please let me know – I’d love to connect with you! I will be at the Chile display booth as well as giving a seminary presentation Saturday morning. 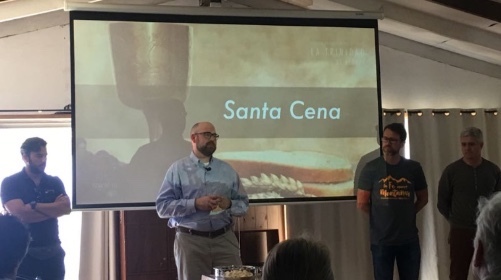 Church Planting: Our team has more opportunities to partner with Chilean church leaders in new church planting projects, both in Santiago as well as here on the coast. We also continue to serve MTW missionaries throughout the region who are engaged in church planting. There have been twelve new professions of faith in the ‘Fuente de Gracia’ (Fountain of Grace) church plant in Cusco, Perú this year! This is a church plant that started just two years ago and that is getting to see fabulous growth via new people coming to saving faith in Jesus! Campus Ministry: Where will future pastors, church planters, and church leaders come from? 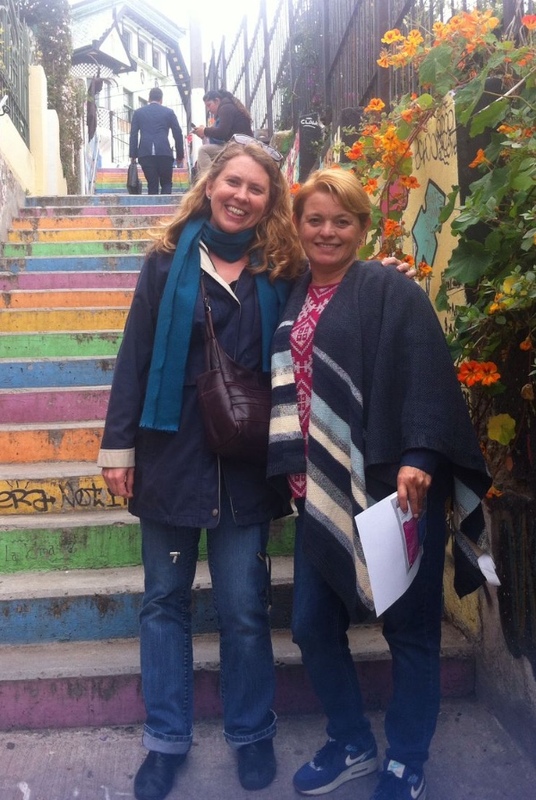 In South America we are seeing more and more how crucial it is to have a presence in the many university settings. Young people find themselves at a crucial point in their growth and development – a crucial point where they can be reached with the gospel and also a point where they can be inspired to dedicate their lives to Christian service. God is opening the doors on various campuses throughout the region, and he is providing incredible opportunities. This year we have seen significant impact through the ministry of RUF (Reformed University Fellowship) at the National University of Colombia in Bogotá. And God is opening the doors to multiply RUF’s impact through a developing network of South American campus ministry workers in various countries. If you’d like to help provide funding for training these workers, donations can be made to MTW – ‘South America Campus Ministry – 90915’. We have received a matching grant on the first $7,500 we raise! Pastoral Training: God keeps growing the network of pastors and prospective pastors with whom we have contact. Within this network two vital components are developing: 1) we are having more opportunities to coach and mentor current pastors, and 2) God is creating opportunities for formal theological training in various places. We are in discussions with various partners to see new seminaries formed both in Chile and in Colombia. And a pastoral training center has started up in Cusco, Perú – with another scheduled to begin classes in March in Arequipa, Peru. It’s completely unheard of to get a group of guys together at 6am for discipleship, but if you’re going to do it, you’re going to get a group selfie! Street dogs. Lots of places in the world have street dogs. Chile is the only place I’ve been where people LOVE their street dogs! 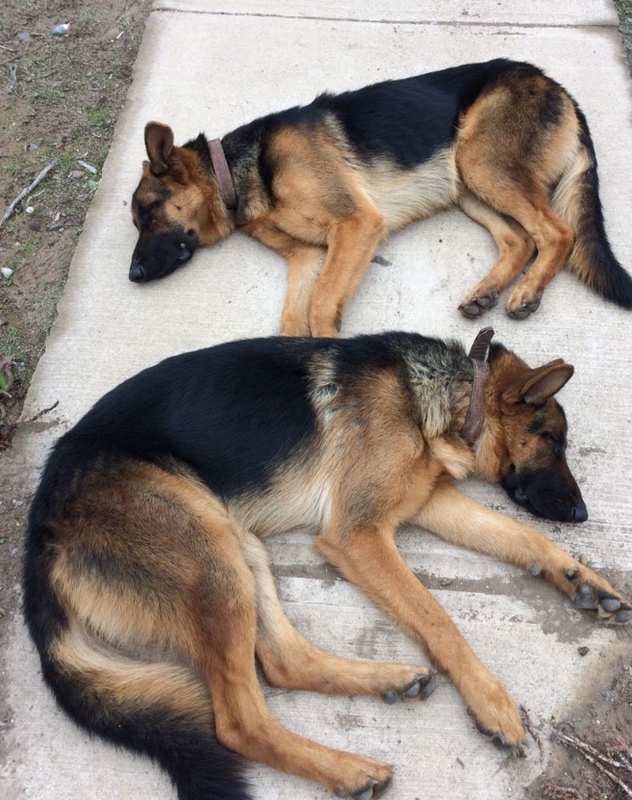 There are large, usually well-behaved, dogs all over the place. We regularly see these dogs crossing the street – somehow knowing how to use crosswalks – even waiting for the crosswalk lights to change before stepping into the street. No, I’m not kidding! People feed them, sometimes groom them, sometimes give them sweaters or collars. They even protested a while back when the government started removing some of the dogs in an effort to improve the city’s image. VENEZUELA – We continue to talk about Venezuela as things there continue to deteriorate. Please pray for open doors for ministry there, as well as for ministry to the thousands of Venezuelan who are spreading throughout Central and South America. 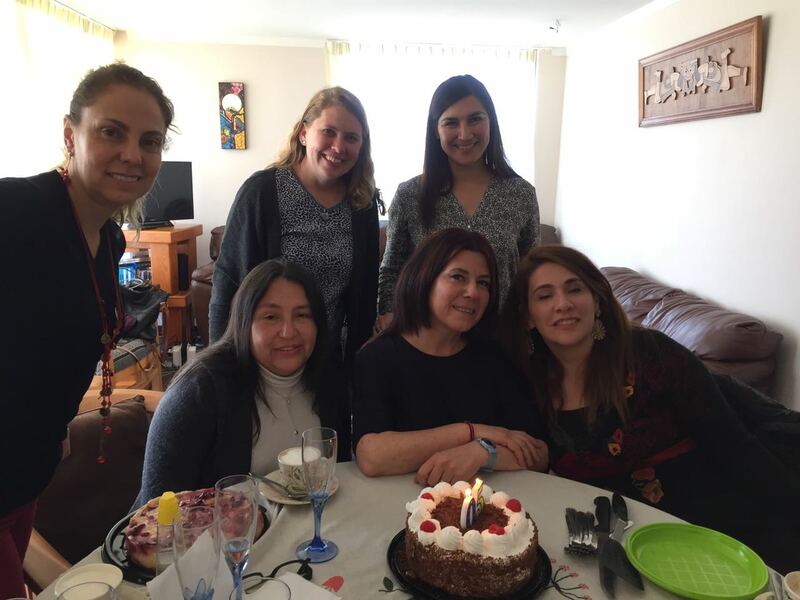 PERÚ – There is so much growth in ministry activity right now. Please pray for our missionaries there involved church planting, campus ministry, various aspects of mercy ministry, and pastoral training. CHILE – Next year is a World Cup (soccer) year. It is an event that holds much of the world captive before their televisions. Last month, in World Cup qualifying, Chile was eliminated. This is a deep blow to the national psyche, especially as rival countries Perú and Argentina did qualify. God has allowed one of the local idols to be thrown down right now. Pray that we and others would find ways to enter into people’s lives with the truth of the gospel about our true hero who will never let us down. The ministry of Parakaleo comes alongside church planters’ wives to mentor, encourage, and support them in their roles. 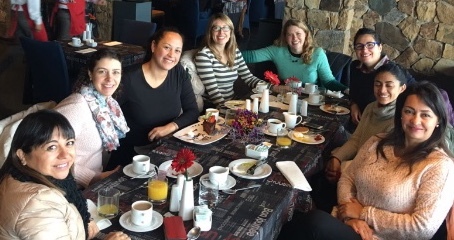 Amy, fellow MTW missionaries Stephanie Van Der Westhuizen, and Chilean pastors’ wives are serving through Parakaleo to minister to this vital group of women who are so often over-worked and under-appreciated in church planting. 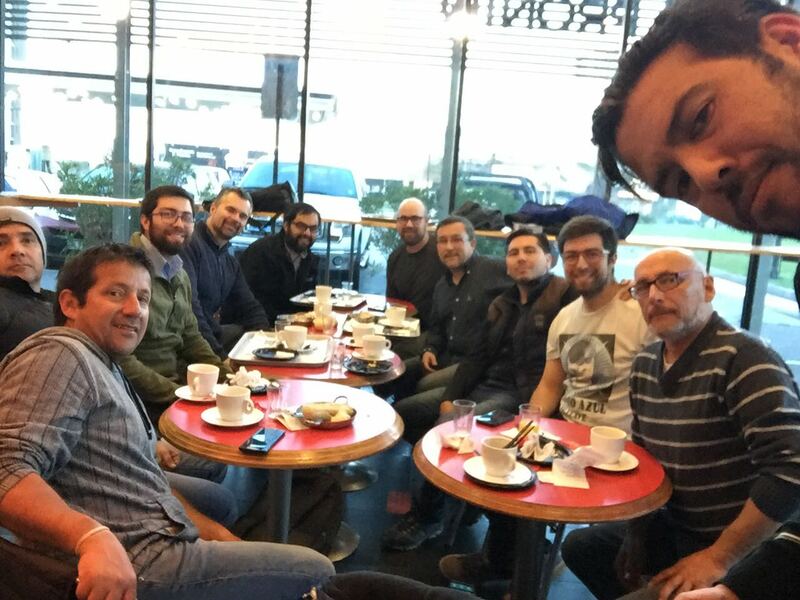 Pray that God would continue to open doors for effective ministry and that he would raise up more Chilean leaders. Women at a recent Parakaleo gathering. Photos: 1) Amy with women from church, 2) Amy and a dear friend from Guadalajara!, 3) Amy with moms from Johnny’s school, & 4) Steve administering the Lord’s Supper at our church – Iglesia Trinidad de Reñaca. Pray for us this Thanksgiving. Through all our many family transitions, we’ve never had a Thanksgiving without the 5 of us together in one place. This year will be different, and we’ll be feeling the pain of the separation much more deeply. Joseph and Mary Beth do get to be with us for a couple of weeks at Christmas break! We are so thankful for that. Pray for us as I travel. Visiting other ministry sites is vital to my role, but at times it’s hard on our family to be apart. Pray for the churches we were involved in previously in Mexico – that God would strengthen them and that their impact in the city would increase. After 10 months in Chile, we have a lot of local ministry activity and opportunities for even more. Pray for us to love people well – and for us to make wise decisions as we choose the most effective ways to serve. Previous Previous post: Having a good winter?